For beautiful, long lasting curl on-the-go. 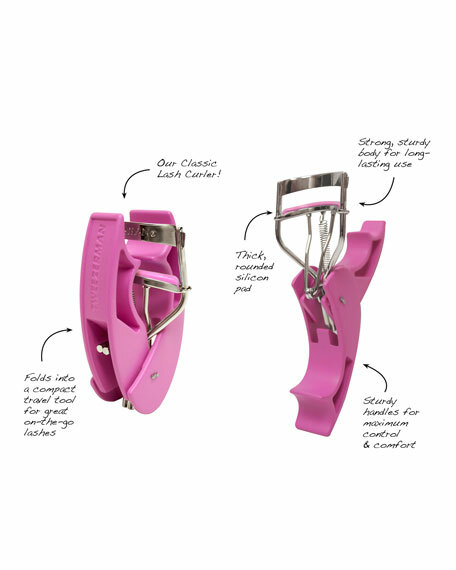 Portable version of our Classic Lash Curler. 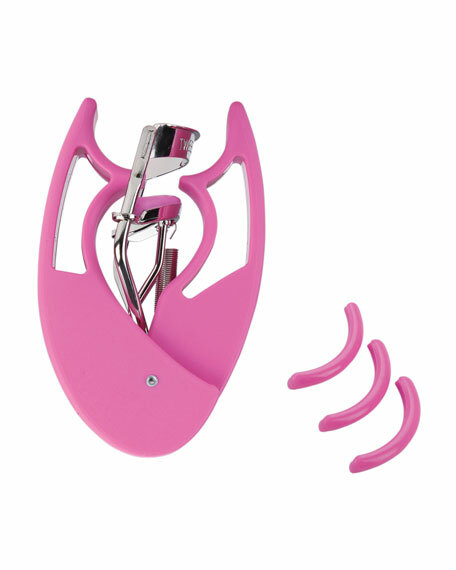 Folds into a compact travel tool specially crafted for great on-the-go lashes. Perfect for purse and travel. Folds into a compact travel tool that's easy to store and carry. Thick, rounded silicone pad forms intense curl that won't crimp lashes. Strong, sturdy construction for long-lasting use and comfort. Foldable handles make this the perfect on-the-go curler. Unfold curler to use. Curl lashes before applying mascara. Spread handles fully. Open eyes wide to insert and center lashes. 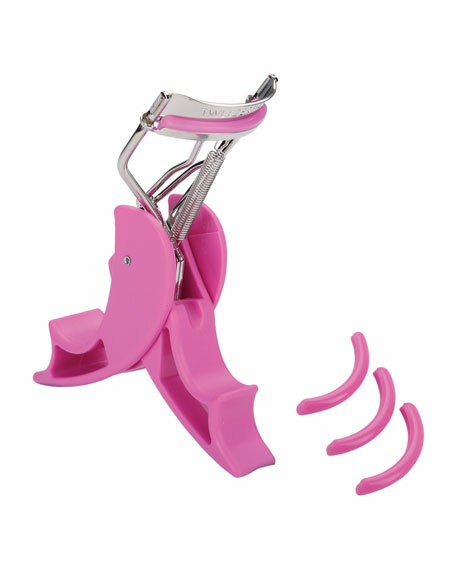 With pad positioned at the base of lash line, hold handles firmly and gently squeeze curler completely closed. Hold a few seconds. Gently spread curler open to release. Repeat up the length of your lashes for an even more dramatic curl. Wipe clean after each use. Re-fold curler to take on the go. We recommend replacing pads every three months and curler after one year.